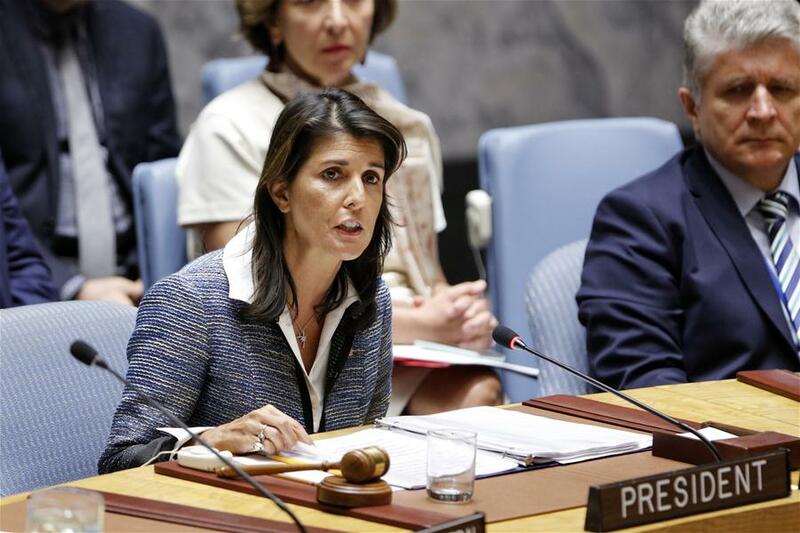 WASHINGTON, Oct. 9 (Xinhua) -- U.S. President Donald Trump said on Tuesday he has accepted Nikki Haley's resignation as the country's ambassador to the United Nations. Trump told reporters on Tuesday morning at the oval office that Haley will be leaving at the end of the year. He added that Haley told him six months ago about her intention to leave the post. Haley, seen as one of Trump's most trusted advisers, had reportedly discussed her resignation with Trump last week during her visit to the White House. Haley used to serve as the governor of South Carolina. She was confirmed days after Trump's inauguration in January 2017.